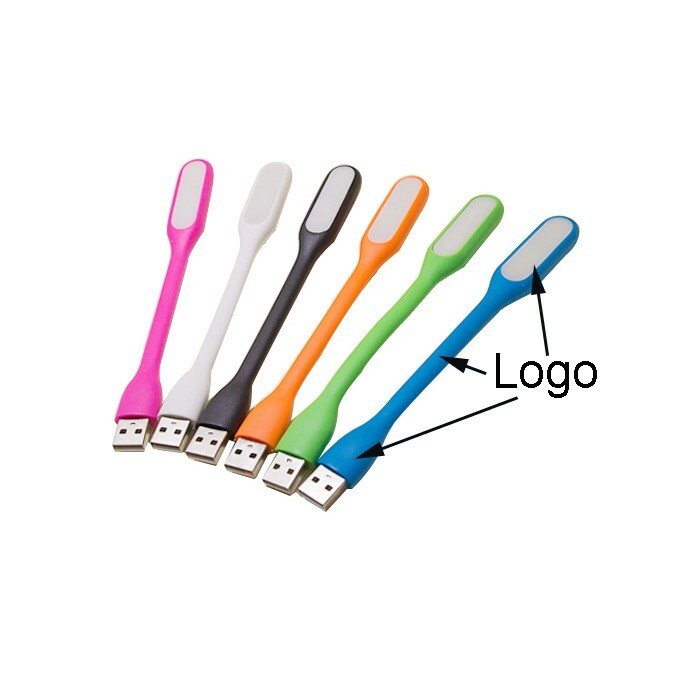 Mini USB lamp made by TPU, 5V / 1.2W, connect with power bank for reading or connect with laptop for working in night, portable and flexible, suitable for business trip and travelling.imprint your logo is available. Price includes 1 color 1 side 1 location with silkscreen imprint. Package: 1 pc/opp bag, 200 pcs/ctn, 35.2 lbs/ctn.